When retired accountant, detective fiction devotee and lifelong philanderer, Philip Ramsbottom, set up a private investigation agency, he had thought it wise to accept only straightforward tasks – after all, his entire experience of detective work had been gained from reading crime novels. Philip had thus not expected his very first commission to draw him into the murky world of espionage. Elite special agents were required to save the British and NATO nuclear submarine fleets. Such a dangerous assignment, however, would have been more suitably allocated to people with relevant experience – in preference to Philip and his former lover, Rebecca Carter. 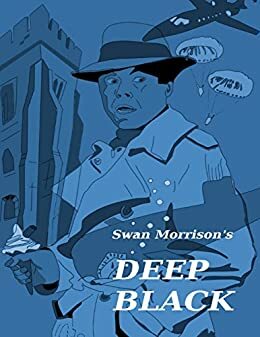 The quest for the Sirens’ Song Configuration would have been much better pursued by the ultra-secret group of super-spies known as Deep Black. In another affectionate tribute to many classic storylines, Swan Morrison once again incorporates comedy, crime, espionage, romance, the paranormal and more into a complex and action packed adventure thriller. I did not want to put down this book; it is a real page turner. A fun story that mystery readers will enjoy and appreciate.